Heat oven to 350°F. Grease bottom only of 8- or 9-inch loaf pan. In large bowl, mix brown sugar, milk, oil and eggs with spoon. Stir in remaining ingredients except blueberries; beat 30 seconds. Fold in blueberries. Pour into pan. Sprinkle with additional oats if desired. Bake 45 to 55 minutes or until toothpick inserted in center comes out clean. Cool 10 minutes. Loosen sides of loaf from pan; remove from pan to wire rack. Cool completely, about 2 hours, before slicing. Wrap tightly and store at room temperature up to 4 days, or refrigerate up to 10 days. 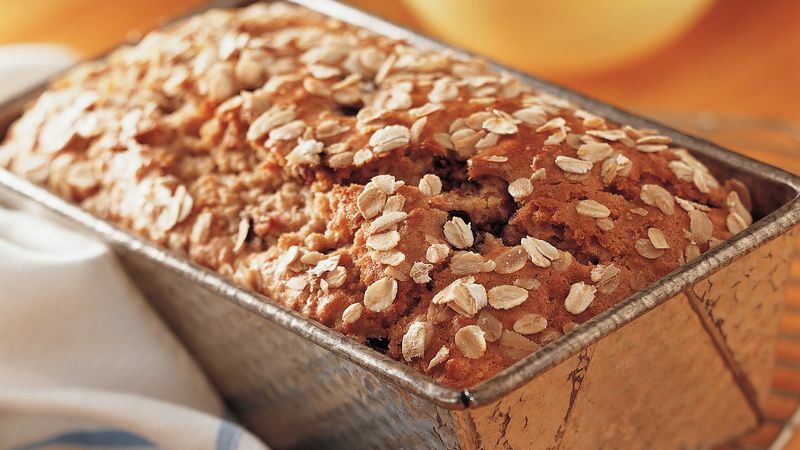 You can store quick breads tightly wrapped in the freezer up to two months.